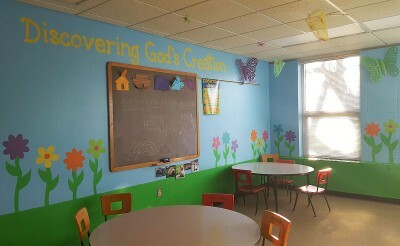 ﻿﻿The Sunday morning environment for elementary- aged kids includes an engaging large group worship time with a snack followed by a small group time with adult leaders. We strive to create an authentic environment where kids can grow their trust in God, their connections in friendship, and faith within themselves. 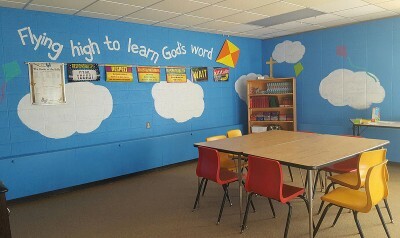 Older elementary students will use their Bible in class so they can learn how to dig in to God's word. We give students real life applications from the lessons each week. One of the missions that we are working on teaching the children is the thought of “giving back” to others and during “service” through God. So each month the children participate in a service project that takes place during the regular Sunday school hours.